We Welcome Shannon on Aim Workout to share her transformation story with us. I’m a mom and run my own home-based fitness business as an online fitness coach. I live in the SF Bay Area with my husband and 3.5-year-old daughter, and we have two on the way! Fitness has been a huge part of my life since my early twenties and eating healthy is always a priority while striving for balance since I love cheat foods here and there too. What motivated you to transform your body and your life? I never struggled with weight as a child, but quickly learned that I needed to make changes when I gained the “freshman 15” in college. I cleaned up my eating and started running, eventually running my first 5K…then became a marathon runner! I never turned back to my unhealthy, inactive life, and now fitness and nutrition are a huge part of my life as well as my family’s. Thankfully, I had these healthy habits before giving birth to my daughter. 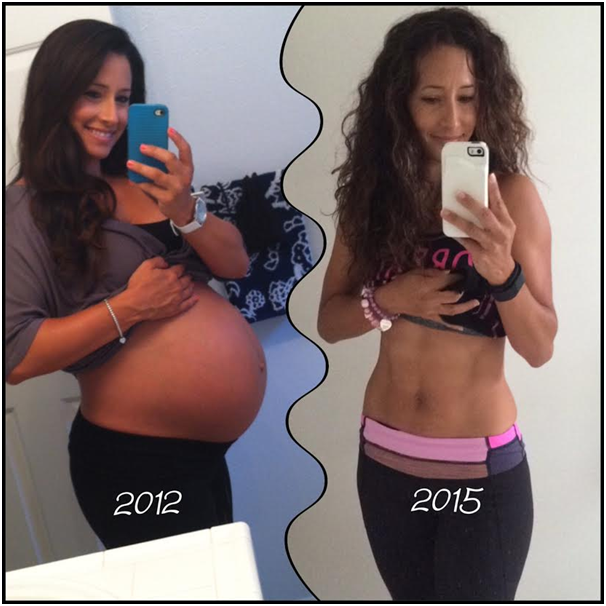 I gained 35 pounds during my pregnancy, and was able to lose that plus an additional 8 pounds! In 2014, my passion for health and fitness turned into my business, when I became an online fitness coach, helping others, especially other moms, get in the best shape of their lives by inspiring them to make their health and fitness a priority in their lives. 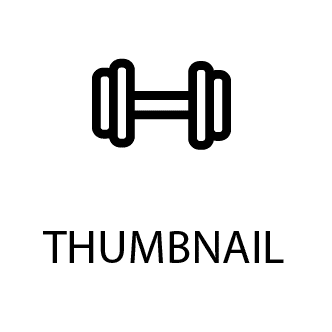 What workout routine has worked the best for you? I used just to run, run, run, but when I started following PiYo and 21 Day Fix programs by Beachbody, that’s when I saw my transformation. I incorporate HIIT, strength training, yoga/pilates from PiYo, and running into my weekly workout routine. It keeps my body guessing and gives me variety while pushing myself. Recently, during my pregnancy, I’ve had to scale things back a bit and have cut out a lot of HIIT and am slowing down with my running. Hiking, PiYo, and 21 Day Fix workouts with weights have been my go-to workouts these days. What was the biggest challenge in your journey? 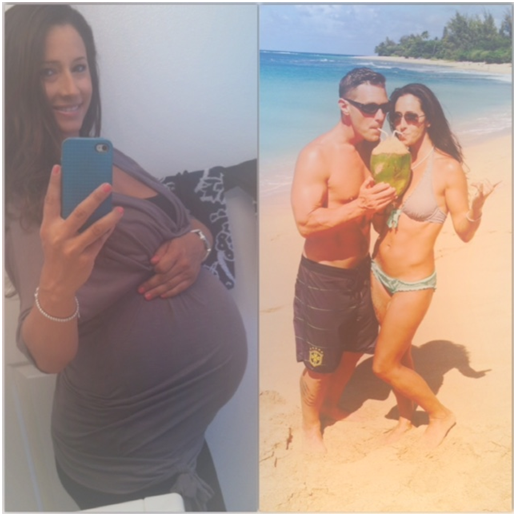 After having my first child at 34, I had no idea what to expect as far as getting my pre-baby body back. Finding the time used to be the challenge, but now that I have my home workouts at my fingertips, I schedule (and reschedule) my workouts to fit my busy mom life and the needs of my family. My family knows that mama needs her workouts to be happy, calm, and present for them, so they know that it’s just a part of our day. What does your daily diet look like today? I have an auto-immune disease called colitis, so I mainly follow an anti-inflammatory eating plan. Many know this eating structure as Paleo. I either drink a Shakeology super foods shake for breakfast or eat eggs with avocado and a sprinkle of goat cheese. Then whichever I don’t have for breakfast, I have for lunch. Snacks include raw veggies, fruit, or small salad, and dinners are a protein with veggies. I’ve incorporated some bread and corn tortillas into my eating during my first trimester due to all day “morning sickness,” but now that it has finally started to let up, I’m weaning those items back out of my diet. For drinks, I drink black coffee, sometimes with a little almond milk, and good ole’ H2O. How has your life changed after your transformation? I feel so much more confident and comfortable in my skin. I love seeing tone and strength in my body. Eating clean and regular exercise gives me the energy I need to keep up with life and my very active pre-schooler! As a huge bonus, I love being able to inspire other busy moms to get in and stay in shape. I know the struggles, so it helps when we do it together and support and empower one another! What is one thing you would say to someone struggling on the same path? Just make that commitment to yourself and know that you’re worth being the best version of yourself and living a happy and healthy life! It’s not easy to lose weight, but it’s also not easy to live unhappily and unhealthily. Health and fitness is a journey, and just like in every aspect of life, there will be bumps in the road. Just keep moving forward and staying committed to your goals and you will see those results!